As the temperatures continue to drop, we’ve been extra excited about stocking up our closets with plenty of cold weather finds. Think shearlings, fleece-lined sweats and plenty of accessories, like scarves and hats. However, our favorite items to shop for fall and beyond are leather jackets! They are worth the investment since you can wear a leather topper with pretty much anything. While the jackets can be pricey, our latest designer find is a total steal. See it! 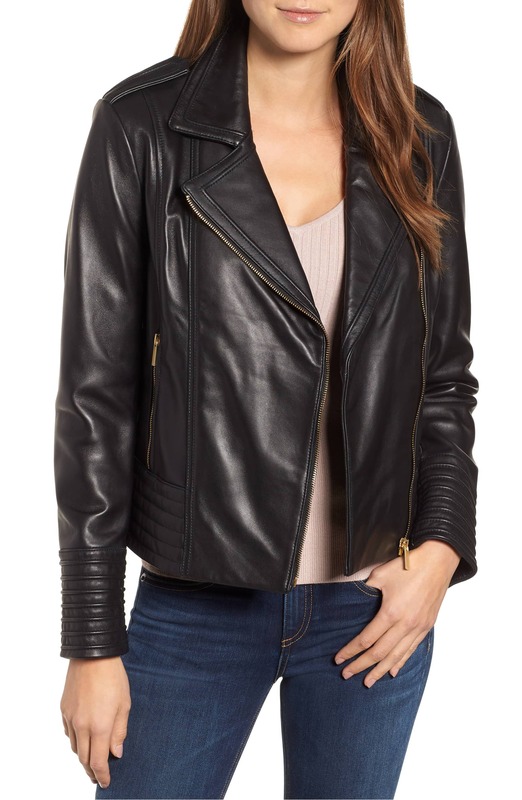 Shop the Badgley Mischka Gia Leather Biker Jacket at Nordstrom for just $299.90 (35 percent off $495) — the same price as the Nordstrom Anniversary Sale! The Badgley Mischka Gia Leather Biker Jacket is a must-have for fall. The smooth leather and goldtone hardware give this classic style a bit of a sophisticated edge. For fans of biker jackets, there’s an asymmetrical front zip, epaulet detailing at the shoulders and a chic notch collar. It’s lined, so the jacket will keep you warm even when the weather takes a turn for the worse. The outerwear is also slightly oversized, so be sure to order one size down. The best part about the jacket has to be its amazing sale price. Originally retailing for $495, the jacket has been marked down to $299.90. That’s 35 percent off! It’s the same price it was during the Nordstrom Anniversary Sale in August. Trust Us, price drops like this don’t come around often, so it’s best to take advantage when they do. Plus, scoring a real leather jacket for under $300 is a deal you can’t afford to pass up! Not sure how to style the stunning piece? We recommend a classic white tee, high-waisted jeans and slip-on sneakers for a model off-duty look. You can also use the jacket to dress down a little black dress and stiletto pumps for date night. Need a concert outfit? Pair the topper with a band tee, suede miniskirt and booties. See it! 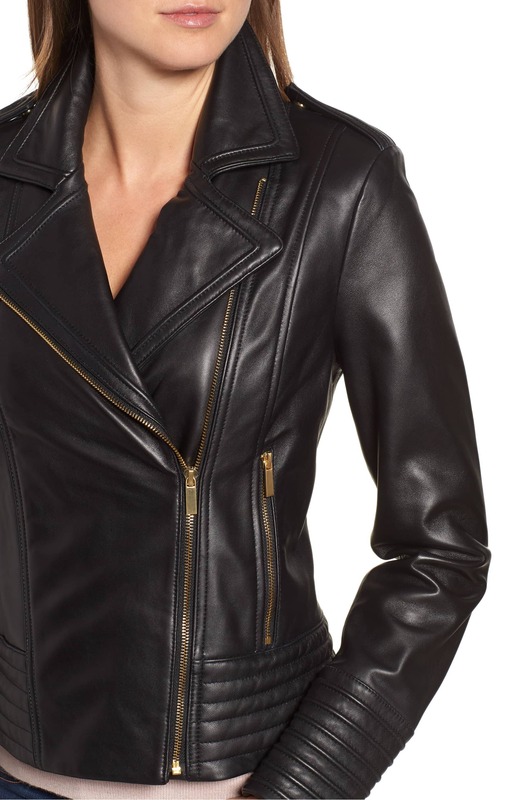 Shop the Badgley Mischka Gia Leather Biker Jacket at Nordstrom for only $299.90 (35 percent off $495) — the same price it was during the Nordstrom Anniversary Sale!